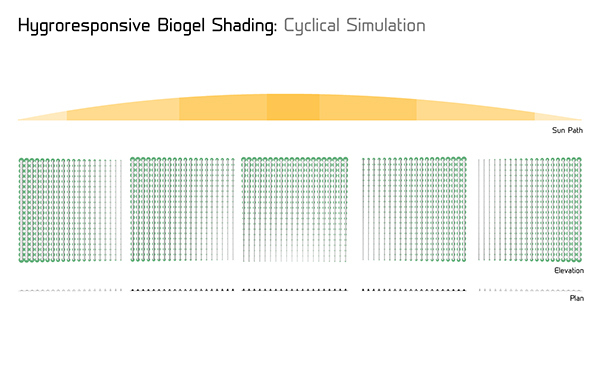 Taking advantage of the natural response from hygroresponsive biogels, this passive shading device aids in diluting light distribution within enclosed spaces. 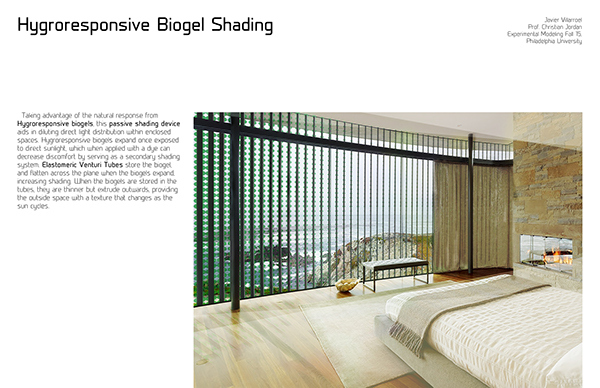 Hygroresponsive biogels expand once exposed to direct sunlight, which when applied with a dye can decrease discomfort by serving as a secondary shading system. Elastomeric Venturi Tubes store the biogel, and flatten across the plane when the biogels expand, increasing shading. 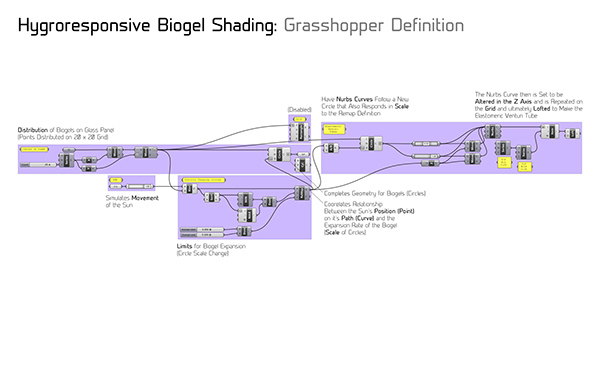 When the biogels are stored in the tubes, they are thinner but extrude outwards, providing the outside space with a texture that changes as the sun cycles.